Meet A New Addition to Our Team! We are excited to announce a new addition to our stellar Sales Team! 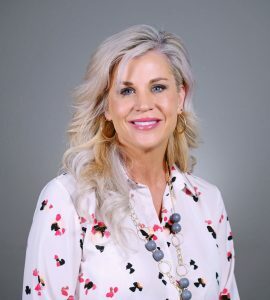 We warmly welcome Megan Holland as an agent excited to help North Texas residents find their next dream home! Take a moment to learn about her and please join us in welcoming her as a great new addition to The Rhodes Team! I was born and raised in Texas and graduated from Texas A&M University with a Bachelor of Arts in English. I have two children and currently reside in Roanoke, Texas. After teaching elementary school for ten years, I decided to make a career change and I’m now proud to be a Real Estate Agent with the exclusive Rhodes Team. I am honored to serve our clients with integrity and grit and will strive to ensure your dreams to find the perfect home for you and your family. We are always thrilled when we find great talent to join our ranks & are already seeing that Megan is a great culture-fit for our team. If you, or someone you know, are thinking of buying/selling/both in Dallas/Fort Worth, give us a call today! We would love the opportunity to show you first hand The Rhodes Team difference.